The “san” as it is affectionately known is open twenty-four hours a day, seven days a week, with one of the two qualified nursing sisters (delete the comma) on duty at all times. It has two six-bedded wards and a two-bedded ward for students who need extra care. If the sisters are not happy with sick students they will keep them overnight for observation. The San’s modern equipment includes a nebulizer in case of severe asthma attacks, a body board, a head immobiliser in case of severe rugby injuries and a glucometer to check blood sugar levels. The sisters are also able to stitch minor cuts. Three Clinics a day are held which the students are able to attend for treatment of ailments or to take prescribed medication. If a student needs a sister in an emergency help is available at any time. The ‘Medics Bus’ every Thursday afternoon, enables students to receive medical attention in Bulawayo. Medical appointments must be arranged and cleared through the San at least 24 hours beforehand. 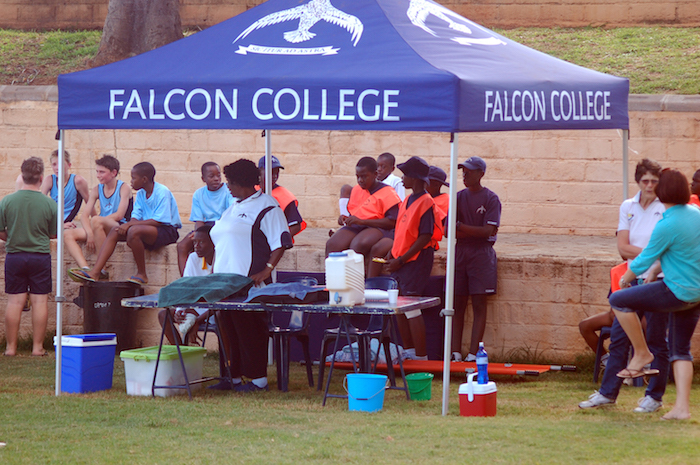 Falcon College has an account with a pharmacy in Bulawayo so that antibiotics and other medication can be ordered through the pharmacy. Parents can claim from Medical Aid. The San sells various items such as throat lozenges and a variety of vitamins. Students are not allowed to keep medicines in the houses. These are to be lodged with the San sisters. The San sisters are part of the counseling team in the College and students are always welcome to visit them.